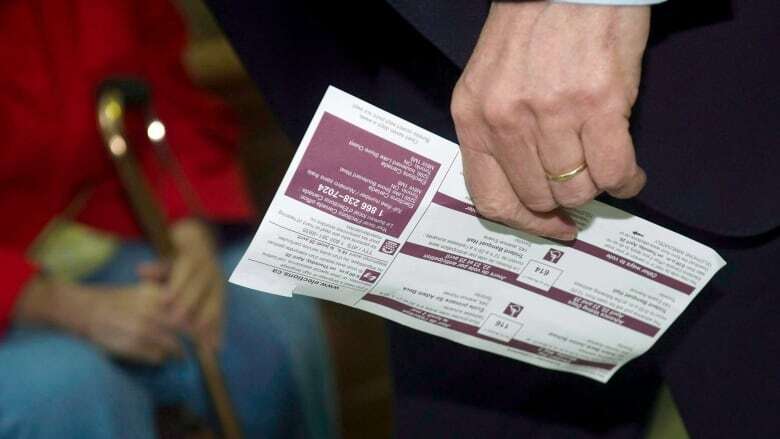 An Ontario Superior Court justice has rejected a bid for an injunction to suspend voter identification provisions of the Fair Elections Act, despite acknowledging the risk eligible Canadians will be denied the vote in the next federal election. Lawyers for the Canadian Federation of Students and the Council of Canadians had argued that the law, passed by the Conservative government in 2014, was an act of voter suppression, and could prevent as many as 250,000 voters — those least likely to vote for Prime Minister Stephen Harper's government — from voting in the Oct. 19 election. They had argued that the Chief Electoral Officer, Marc Mayrand, had gone on record saying he would be willing to replace the 28 million voter information cards (VICs) already printed with the words "Please note that this card is not a piece of ID," if the injunction had been allowed. However, on Friday, Elections Canada spokesman John Enright, said "the Chief Electoral Officer was an intervenor in the case but did not take a position on the merits of the injunction motion and only offered submissions to assist the court. "The court decision maintains the rules for the 42nd general election in accordance with the Canada Elections Act, as amended by Parliament in June 2014." In his decision, Justice David Stinson wrote: "There is a risk that some voters who would otherwise rely on the Voter Information Card to enable them to vote will be unable to do so … which would result in irreparable harm due to their inability to exercise their right to vote in that fashion." Even though the right to vote is guaranteed in Canada's Charter of Rights, Stinson wrote he felt that an injunction shouldn't be granted "without a full hearing on its merits, something the parties agree cannot be accomplished before the upcoming federal election." The act "is an obvious attempt to undermine democracy," said Maude Barlow, national chair of the Council of Canadians. "We are more committed than ever to getting people out to vote despite the new identification requirements. "The government may not want Canadians to vote this October, but we certainly do." As it stands, people with a driver's licence that shows their current address will be allowed to use that document as identification. However, 15 per cent of Canadian voters do not have driver's licences. In that case, the government is asking voters to arrive with government documents that include proof of your identity, and a second document, such as a bill, to show where you live. The applicants had argued that this will disadvantage the estimated 250,000 people who move during an election, students, the homeless, aboriginals and the elderly. Ironically, Stinson cited a Supreme Court decision — in which Stephen Harper, as a private citizen, fought for the right to expand third-party donations in elections — as the basis for turning down the injunction. In Harper v Canada 2000, Harper won a lower court decision to have an injunction against elements of the Canada Elections Act, but the higher court overturned the decision, arguing that setting aside a law of the land without a full hearing would do more harm than the relief sought by Harper. Harper ultimately won the right to allow third-party contributions, but during the process he wrote a letter saying "the jackasses at Elections Canada are out of control." Stinson also argued that, confronted by limited evidence, he couldn't overturn a Supreme Court precedent when ultimately the constitutionality of the Fair Elections Act would be decided by another hearing. Attorney General Peter Mackay also would not respond to the decision, but had argued in court that there are 45 pieces of ID that can be used to identify yourself on election day. Bilan Arte, national chair of the Canadian Federation of Students, said her organization "will continue to ensure students have access to information on how they can vote in spite of this government's voter suppression laws. Canadian students remain determined to defend our democratic rights." Outside court Garry Neal, executive director of the Council of Canadians, said he was "disappointed but not deterred," and said he will talk to counsel to consider an appeal. Regardless, he was buoyed by the judge's determination that the issue was serious, and they will fight the case to the end on the constitutionality of the Fair Elections Act. Any tips on this or other stories, please contact John Nicol.